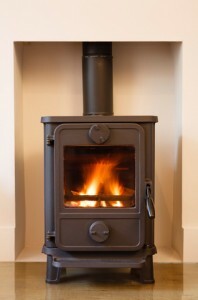 There are many considerations taken into account when assessing and installing a stove or burner of any kind. Our experience has taught us that a detailed site survey is essential to ensure the safe operation, and for the best possible stove for your particular needs to be installed. This we provide on a complimentary basis. Chimneycure are able to source and install multi fuel and wood burning stoves from all the leading manufactures at heavily discounted prices. Be it traditional or contemporary, farmhouse or townhouse, large or small the options are endless and all tastes are catered for. Being impartial and not involved in sales, we are not bias to any stove manufacturer and, as a result, we feel we can give sound and experienced-based knowledge on suitability. If you live in a smoke control area we can recommend stoves which are DEFRA exempt, which means these appliances, can be used in these restricted areas when smokeless fuels or wood are being burnt. If you already have a stove which you want installed we can also do that for you too. And of course when you’re having your new stove installed it’s an ideal opportunity to have the condition of your chimney checked and, if necessary repaired or relined to the correct size for your particular appliance, ensuring that it’s working to its peak efficiency. Chimneycure are also HETAS registered to maintain and service solid fuel appliances. We are competent to replace components such as rope seals, glass door panels and firebricks when required. We can also make sure that the appliance is operating efficiently and ensure that it is safe for you and your family. The cost is kept to a minimum as we have little overheads compared to large shop based companies.